Inspiring more than just the avid readers. My second year of teaching, all the English teachers on our campus were given daily 90-minute blocks instead of 45, so I started an in-class silent reading procedure. However, I did it all wrong. My students, 99 percent of whom were not avid readers, were not simply going to sit and read for 10 to 15 minutes without a fight. So, they hid phones behind their books. They read the same two pages over and over again. They picked up a different book every day because it got too hard after the first few chapters. They fell asleep. They would lose their books or grab someone else’s if they couldn’t find theirs, setting off a highly annoying daily domino effect. But once I learned what they were doing and started to understand why they weren’t reading, I did some trial-and-error experiments until I had a successful SSR (sustained silent reading) program. 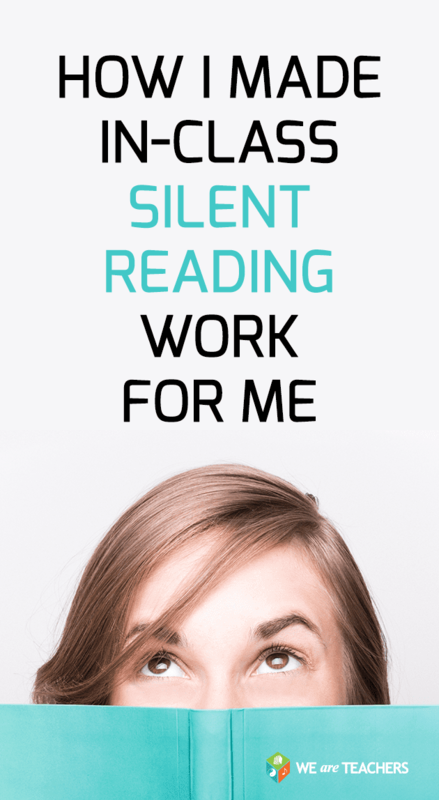 Here’s how I turned silent reading from a dreaded chore into something that was both beneficial and personally meaningful for my students. Read at the same time as your students. Reading with your students during SSR time models that reading is not simply an assignment for students but is an enjoyable choice for adults too. I know every teacher has 830,000 things on their to-do list and it’s tempting to try to use SSR time to take care of it, but try to make the days you read with them far outnumber the days you don’t. Use five minutes of each SSR time for student conferences. Each day, meet with a new student and discuss the book they’re reading or just finished. Keep track of their reading on a spreadsheet. Think of it more as a casual conversation, making sure they are reading, enjoying and being challenged by their books rather than a “test” they need to pass. Periodically recommend some awesome new reads. A little advertising goes a long way. Once a month, present to the class (or better: have students present them!) some books you’ve read and liked, even if they’re older books. When you are excited about a book, it increases the demand for it tenfold. Any time I presented a stack of books to my reluctant-reader class, they were gone by the end of that class period. Keep your students updated on what you’re reading. Some teachers I know devote a little section of their whiteboard or chalkboard to keep students informed on what they’re reading. I’m terrible with remembering to update things like this and know I would have the same book listed there for months, so instead, I periodically just talk to my students about my SSR book (since I have it there with me). But whatever you do, modeling that you’re an avid reader can be one of the most powerful motivators for them to become one too. Demonstrate that reading is its own reward. Once my students were more excited to read, I love to show them how rewarding it could be. Any time it was raining outside, students knew they’d get an extra five minutes (because curling up with a good book during a thunderstorm … duh). I’ve also held the Finer Things Club (a tradition I borrowed from the TV show The Office) where students meet in small groups, bring their own fancy snacks/drink (that is, anything that does not coat the fingers in an orange or red film) and discuss what they’ve read recently using literature discussion question prompts. Use flexible seating. I have several sets of pillows and cushions I keep in my room on a first-come, first-served basis for students to use when reading. I don’t mind if they sit on the floor, either (though you do need to keep an eye out for trouble if your students aren’t all sitting at desk-level). Do you have nice weather and an agreeable supervisor? Read outside one day! Dim the lights. Even better: Turn off the lights completely and use lamp lighting (or strands of Christmas lights if you’re not afraid of your fire marshal). Get organized. Make sure there is a place for students to put their books. I would highly, highly recommend getting a mail sorter—it cuts down so much on students losing or misplacing books, and you can easily look in the slots to see who didn’t put their book back. But if you can’t get a mail sorter, have some kind of system in place that bunches your students’ silent reading books together in bins or tubs instead of a giant shelf per class. Giant shelves are where SSR books go to die (i.e., get lost/stolen/damaged). Make it a regular thing. It’s hard to stay engaged with a book if you’re not sure when you’re going to be given time to read it. Commit to silent reading being a same-time-every-day thing. 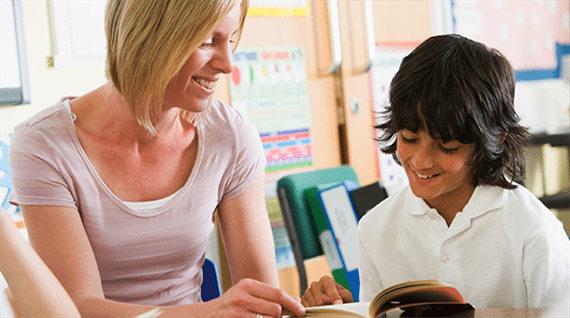 Remember, these are things I learned by trial and error, so for more on silent reading from an expert, check out Steve Gardiner’s Building Literacy Through Sustained Silent Reading.